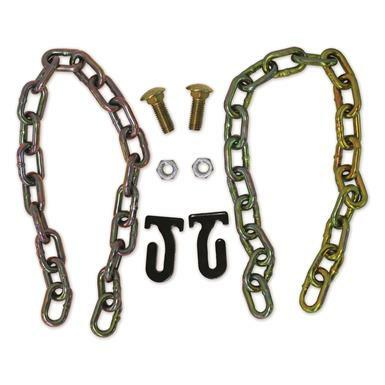 Get this durable essential for your hanging targets! You never miss, right? Of course not. But in case your buddy does or junior is just learning how to shoot, this Copper Ridge Kit is built tough to take those accidental hits. But it also is built for your convenience. First, the longer Bolts make your target hang at a slightly downward angle. That way, the bullets get deflected towards the ground. And you get easy take-down and set-up, thanks to the quick-attach CTS Hook.